Ethical E-Health: A Possibility of the Future or a Distant Dream? E-health is a rising star that marks the collaboration of medical science and information technology, a ray of hope promising a glorious future of health and prosperity, an easy solution to rely on when in need of medical assistance. But the question arises is E-health an absolute spotless option? 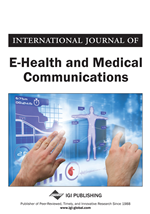 In this paper we question the integrity with which e-health is being practised, is the code of ethics being diligently followed? And if not then is ethical e-health entirely impossible? It is of utmost importance to encourage the motivational thinkers who have taken the initiative to provide a better and quicker solution to all health problems by integrating health services and information technology. To do so it becomes necessary to remove the barriers in the way of ethical E-health. In recent time, technological developments have made dramatic impact on our lives. In early 90s, Telematics which is blending of computers and wireless telecommunication system, with the goal for efficiently transmitting the information to vast health care network. It played a major role in medical informatics and health care. E-health or health information technology is the latest buzzword in the arena of “computerized medicine”, which barely came into practice before 1999. Sole motto of e-health is to provide better, faster and more convenient health care services through digital technology. In e-health storing, managing and accessing the patient’s medical records is done using the computer networks instead of conventional paper records. E-health activities comprise e-consult, telemedicine, sharing of electronic health records, etc. All this improve the patient’s access with the physician or clinician thus improving the health care system. The motion of e-health is becoming customary in the today’s society. And it has the potential to revolutionize the health care delivery system across the world. It paves the way for better and more convenient health care system. It supports the people in the far off places or living in remote areas to extend the access to specialist health care services. Information about the patient’s health is electronically made available to the health care providers which will help in getting better treatment and care. It allows the patients to have access to the electronic health records of their own and in some cases, provide input to their own record, but this was one side of the coin and the other side is, sharing of patient’s information over the unsecure open network may lead to tampering or corruption of the patient’s information so it is subjected to appropriate security to ensure the recipient about the credibility of the information retrieved. The advancement of technology viz. email, online banking, internet, online shopping, etc has lead to the rising expectations for improved health technologies for better survival of the population, at the same time cost effectiveness and quality of the health care must be retained. Despite advancement of information technology, the health care industry has been lagging in the adopting and optimizing the use of technology for better health care services. All this has lead to the increased pressure in the prevailing health care resources. To overcome these challenges each country is pursuing its own solutions. But there is a sole need of much generalized solution for these challenges which can be conquered by e-health. E-consults or e-visits between patients and the physician or health care provider. Patient’s can seek for health opinion from their physician or clinical team. Patient’s interaction with their own electronic health records. All this improves patient’s access to physician or clinicians and the health care services. The proliferation of ehealth has lead to an all new model of patient-physician interaction which has proved to be not only more convenient but also cost effective health care in order to replace the conventional face to face interaction. To improve and increase the access to the health care facilities for the individuals who live rural or remote areas. To broaden the capacity of physician or health care provider. Increased patient’s access to their health records and patient’s participation or self management of his or her health.